This engine started out looking dirty and just seems to get worse and worse. Its beginning to dawn on me that just fighting off the dirt will be a big effort. I guess the first thing I learned about the 928 was a little about thrust bearing failures (sometimes called TBF). The basic situation is that there is a downside to the torque tube kind of drive train. A torque tube runs at engine speed and is like a drive shaft except that it has no joints. Power is directly coupled (through the clutch/flywheel or flexplate) to the trans. This engine, especially the later ones, have quite a bit of torque, enough that it can twist the torque tube slightly. When that happens the torque tube actually grows in length and then snaps back as the torque diminishes. This grow/snap-back thing happens every time you stomp on the gas. When the torque tube grows, it puts pressure on the on the crankshaft. The crank is kept in its journals by a several bearings but only one of them has a thrust bearing surface. That surface bears the brunt of the pressure, and sometimes it wears out resulting in a crank that can move significantly - forward and back with the grow snap-back cycle. This problem is much more pronounced with the automatic trans cars but all 928 owners should be aware and check for this problem - especially before buying. To make it even worse, there can be a ratcheting kind of build up of pressure if the engine-to-torque tube coupler slips. If the car is an automatic, the flex plate bends and ultimately pressures the thrust bearing from the rear. If its a manual, the pressure isn't likely to ratchet-up and the smaller amount of pressure is placed on the front of the thrust bearing. Here's one way to check for crank end-play. And below, you can see the two extremes. This actually pretty good - within spec. At this point, I thinking Yeehaw, I'm not going to have to pull the crank. So, with that behind me I can move on to evaluating the cylinders. Here is one after I cleaned up the carbon deposits - looks pretty good. The others look equally good and only a small scratch at the top end of one of them. At this point I'm thinking I won't touch the crank and only replace the rod bearings and rings and put it back together. I start through the clean up process with that assumption. At first things are going pretty well. I'm using the same Superclean that I used for clean-up of the engine bay, a garden hose and a little bit of scrubbing with a plastic bristle brush. And you can see, things are staring to look better. So, next, I pulled the oil pump, seems OK. Here is a little problem I kept coming back to, the three flat headed studs are really the remains of vibration isolators for the throttle body. Its a little surprising that this car had run as well as it did because with these broken parts, the throttle body was only sitting loosely and any sort of movement of the car would have tossed it around a bit. Anyway, I'll come back to these. This pic (below) really tells the story. The pistons were literally sticky with goo. The Superclean dissolves the oil but some of the the dirt is still there. At one point I thought I was all done with the pistons and just looking over the wrist pins I see dirt still on the inner surfaces. I used a steel bristle brush on those and a cloud of dust appears. This little event has me thinking, there's no way I can put this engine back together with all of this dirt. This is also the point where I made a small tactical mistake. I assumed the wrist pins were all the same weight and I marked only the pistons with numbers so that I could re-couple them to the corresponding rods. But then I read the workshop manual and see that the wrist pins have to be kept with the piston to ensure a balance of weights for each. Arg. 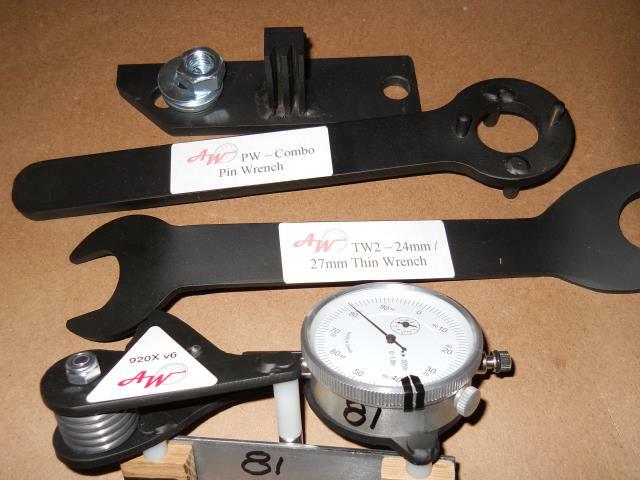 So now, I'll need to weigh each piston/pin/rod and makes sure they are with in spec. Here, you see, even though things are getting better, there's still a lot of dirt down near the crank journals. So, I resolve to go after that area more diligently. I think by this point I had wheeled this block out onto the patio outside of my shop 5 times - each time thinking this will be the last bath for sure. I'm starting to think I may have to pull the crank anyway. Also need to get the starter bracket off. I had to drill the bolt heads off to get it free - surprising how soft those bolts were. Here is about the place where I decided that I just wasn't getting enough of the dirt out of the block. By now I had rinsed and scrubbed this thing pretty thoroughly too. Enough so that I was starting to worry about the detergent getting into the main bearings. I guess I'm still not sure that the detergent might have just been washed away with initial oil pressure, but I knew the Superclean was breaking down the oil and having oil present in the main is pretty important - especially at start-up. So, off with the girdle. And sure enough the mains were loaded up with detergent. I'm also starting to see flash rust appear between washes, especially on the crank. Once I had the crank clear, I hosed it down with wd-40. Man that puppy is heavy. Remember, this is a manual trans car so thrust bearing pressure in on the front of the bearing. Note, I'm down into the brass, so pulling the crank was a good decision. So, I'm just about to turn the corner and start putting this puppy back together but still need to deal with the broken Throttle body isolators. The first one comes out with the welded nut to stud head trick. Simple vise-grips get the second one, But the third snaps off below the surface of the block. So, here you can see, I've drilled it and am tapping it for an insert. Luckily the boss is plenty big enough for the insert. On the block, that only leaves little things like another bath, clean-up of the oil pressure regulator and clean-up of the girdle and head stud threads. I'm not going to align bore it, no stud changes, no decking, no compression changes - remember the object here is to create a $5000 car that is not upside down. So, onto re-assembly.